The Poorvu Center for Teaching and Learning is located within Sterling Memorial Library. If a room number begins with an “M,” then it is located on the Mezzanine in the Poorvu Center. The Mezzanine is accessible via two staircases (one near the 301 York Street door and the other near Room 118C) and an elevator (also located near Room 118C). 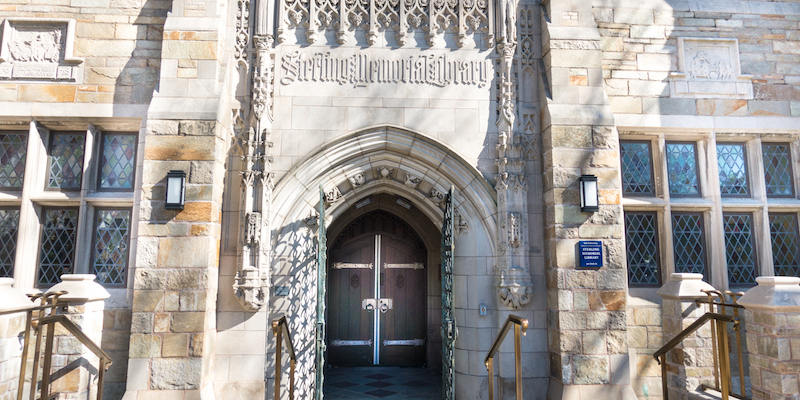 If you enter Sterling Memorial Library from High Street, you can access the Poorvu Center by passing through the Nave, taking a right before the stacks, and taking a left near the Selin Courtyard. The Irving S. Gilmore Music Library is also located in the same corridor as the Poorvu Center. To find staff, please use the digital directory across from Room 118A in the main corridor. Staff desks are in the following rooms: 117, 122, and M105. 8:30 a.m. 8:30 a.m. 8:30 a.m. 8:30 a.m. 8:30 a.m. 10 a.m. 12 p.m.
11 p.m. 11 p.m. 11 p.m. 11 p.m. 4:45 p.m. 4:45 p.m. 11 p.m.
*Please note that business hours are 8:30 a.m. - 5 p.m. Monday - Friday. Tutoring, workshops, and classes take place during and after business hours. Business hours are when full-time staff members are often available for consultations and meetings.